This entry was posted in Campus Announcement, Events and tagged graduation on July 29, 2013 by Wire Eagle. AUBURN UNIVERSITY – Thom Gossom Jr., the first black athlete to graduate from Auburn University, will be the guest speaker during the university’s two summer graduation ceremonies Saturday, Aug. 3, in Auburn Arena. The 10 a.m. ceremony will include the colleges, schools and programs of Architecture, Design and Construction; Engineering; Forestry and Wildlife Sciences; Interdisciplinary Studies; Liberal Arts; and Sciences and Mathematics. The 2 p.m. ceremony will be held for the colleges and schools of Agriculture; Business; Education; Human Sciences; and Nursing. The ceremonies can be viewed live through the university’s website at www.auburn.edu/graduationlive. 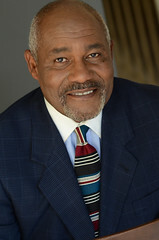 He earned his bachelor’s degree in mass communication in 1975 at Auburn where he was the first black athlete to walk on and earn a football scholarship in the Southeastern Conference. Gossom started three of his four seasons and lettered as a wide receiver from 1972-1974. He later earned a master’s degree in communication from the University of Montevallo. Auburn will award 1,277 academic degrees during the graduation ceremonies, including 794 bachelor’s degrees, 362 master’s degrees, 98 doctorates and 23 education specialist degrees. The College of Liberal Arts will award the most bachelor’s degrees with 209, followed by the Raymond J. Harbert College of Business with 134 and the Samuel Ginn College of Engineering with 102. The College of Human Sciences will present 92 degrees; College of Architecture, Design and Construction, 53; College of Education, 51; College of Sciences and Mathematics, 49; School of Nursing, 47; College of Agriculture, 33; School of Forestry and Wildlife Sciences, 12; and Office of the Provost, 12 degrees in Interdisciplinary Studies. Auburn University has awarded more than 285,000 degrees since its founding as East Alabama Male College in 1856.